Quantity Solutions Inc. (QSI) is dedicated to providing pre-eminent services in the fields of cost estimating and project management. QSI adheres to the highest standards of engineering practices by following the company’s Quality Management System through integrity, accuracy, people empowerment and research. We encourage our people, including our partners and relevant stakeholders, to consistently meet the company’s objectives by continuously enhancing the knowledge and skills that are required to serve our clients better. We commit to continually improve our processes, products and services by satisfying our applicable requirements while driving to exceed customer satisfaction at all times. 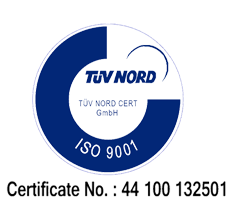 In 2013, after four years of operations, QSI was able to secure ISO 9001:2008 certification from international certifying body TUV Nord Inc. Recently, we have upgraded to the latest version, ISO 9001:2015. Quantity Solutions Inc. maintains a third party certification of our core activities to ISO 9001:2015. We manage our quality management system through our internal quality assurance team that maintains the orderliness and compliance of all employees in the company. (RICS) is an international professional body that traces its history back to 1792 when the Surveyors Club was formed in England. It regulates and promotes the profession, maintains the highest educational and professional standards, protects clients and consumers via a strict code of ethics, and provides impartial advice, analysis and guidance. The Philippine Green Building Council (PHILGBC) is a national non-stock, non-profit organization that promotes the sharing of knowledge on green practices to the property industry to ensure a sustainable environment. It was organized to serve as a single voice in the promotion of holistic and market-based green building practices, to facilitate the sharing of green building information and practices in the building industry, and to serve as a non-partisan venue for the development of the BERDE Green Building Rating System. Was founded in 1956 by 59 cost estimators and cost engineers during the organizational meeting of the American Association of Cost Engineering at the University of New Hampshire in Durham, New Hampshire. AACE International Headquarters is located in Morgantown, West Virginia, USA. AACE is a non-profit professional association. Is a private, independent and non-profit association incorporated under Philippines laws in July 1920. It is affiliated with the Chamber of Commerce of the U.S.A. (COCUSA) and the AsiaPacific Council of American Chambers (APCAC). The American Society of Professional Estimators (ASPE) was founded in 1956 by about 20 cost estimators in Los Angeles, California, USA. ASPE provides the highest standards and ethics for construction estimating and continuing education through seminars and lectures. © 2014 Quantity Solutions, Inc.